View vendors & venues around Cartagena. Connect with couples in Cartagena. 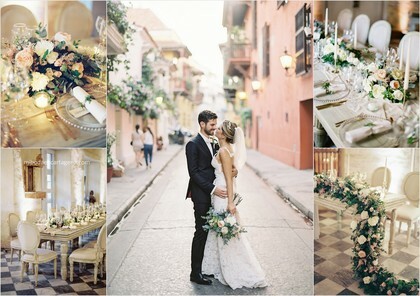 View real wedding profiles in the Cartagena area. View photos from around Cartagena. Weeding planner and event producers located in Bogota/Cartagena. Majors in Destination weedings. Certified Weeding Planners from the European Protocol and Weeding Institute in Spain, and Certified Weeding planner from the Iberoamerican Event Planning Institute (Event Planner Studies Associate CEIBEP).